Want to indulge in some of the rarest, most expensive cigars in the world. Check out these Cigars on Sale now. Ever wondered how much the 10 most expensive cigars in the world will set you back? As anyone who regularly smokes cigars can tell you, the hobby is not a cheap one. In fact, it’s common for anyone entering a cigar shop for the first time to be overwhelmed by the “normal” $2 to $28 price tag on a premium hand rolled smoke. After examining the ranks of decent, good, and great cigars, you’ll come to find a different class of smokes: the super-premium elite. Below, you’ll find ten of the world’s most expensive cigars. Padrón Serie 1926 80 Years – $30.00 The Padrón Serie 1926 80 Years was blended to celebrate the 80th birthday of the company’s founder, Jose Orlando Padron. This cheapest of the premium cigars comes both maduro and natural wrappers, packaged in boxes of eight, but can also be purchased one at a time from many local cigar shops. Cohiba Esplendido – $34.00 The Cohiba brand was originally founded in the mid-sixties in Havana, Cuba, where its production continues today. The cigar is normally packaged in boxes of 25 and packs of three, which range in price from $92 for the three pack to almost $750 per box. 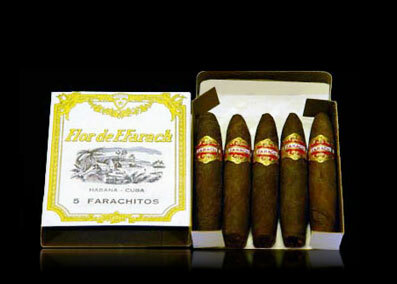 Stradavarius – $34.70 The Stradavarius Churchill is the most expensive of three sizes the cigar comes in. It is a mix of Nicaraguan, Dominican and Mexican tobaccos rolled in Dominican habano seed wrapper leaf. The cigar comes packaged as ten cigars in individual coffins inside a humidor chest. Louixs – $50.00 Goldwin Metropolitan Company, manufacturer of the Louixs cigar claims that it is “the finest cigar money can buy.” It is made for the Beverly Hills Cigar club in a six inch by sixty ring gauge size and is available only as a single cigar in a rosado wrapper. Arturo Fuente Opus X BBMF – $55.00 The BBMF in the name stands for Big Bad Mother- and I’ll let you finish the rest. It packs quite a punch and is extremely difficult to find most of the time. A few online retailers still have a few five packs left in stock, but they won’t be around for long. Fuente Don Arturo AnniverXario – $78.00 Fuente president Carlito Fuente created this special tribute to his father, Arturo in 2001, but not released until 2008. The cigar comes in a chest of 46 maduro and 46 natural wrappers for a total of $7,500. Arturo Fuente Opus X “A” – $79.00 A huge powerhouse of a cigar at 9.2 inches long and a 43 ring gauge, and one of the rarest in the world to boot. It comes only as a single cigar, and is available only in select shops and a few online retailers. Cohiba Behike – $470 The first run of the Behike was released in 2006. One hundred custom humidors of 40 were released with serial numbered bands and a total cost of $18,000. The cigar is 7.5” by 52 ring gauge and is being re-released as a different blend this year for about $50 a stick. Gurkha His Majesty’s Reserve – $750 Infused with Louis XIII Cognac, only 100 boxes a year are produced and dolled out personally by the company owner, K. Hansotia. It is 7.5” by 52, and at $750 per cigar, a box of twenty will set you back a cool $15,000. Gurkha Black Dragon – $1,150 The most expensive cigar of the list is the first production of Gurkha Black Dragon. Only five hand carved camel bone chests of one hundred cigars. The cigar comes in one size, 8.5” by 52. One chest can be yours for $115,000. The second released “similar” blend is $10 to $15 a stick. This list does not include the limited releases of the Fuente Charity collection or the extremely rare pre-embargo Cuban cigars, as they change with collector’s market price. It is also important to note that several of the cigars listed are of Cuban origin and are included for information only. Readers in the United States should keep in mind that Cuban products are illegal, and should not be purchased. I visited several sites however the audio featuhre ffor audio songs present at this web site is truly fabulous. 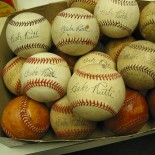 This entry was posted on October 16, 2013 by Memorabilia.Expert BidAMI in Authentication Tips and tagged autographed memorabilia, basketball game worn jerseys game used jersey game worn jerseys sports auction, BidAMI.com, Buddy Holly, cigars, Facebook, game-worn jersey, general patton americana memorabilia military memorabilia political memorabilia.